Mama Yoga and the Story of Namaste is a wonderfully told story with bright and fun illustrations. It is a children’s picture book that encourages children and their parents to get up and move, stretch and build strong bodies while paying attention to what is inside. I found myself zipping through the pages and was charmed by the lessons of physical movement and of kindness and love. I loved the pictures of real kids that inspired the illustrations – showing how you can do yoga – kid or adult! 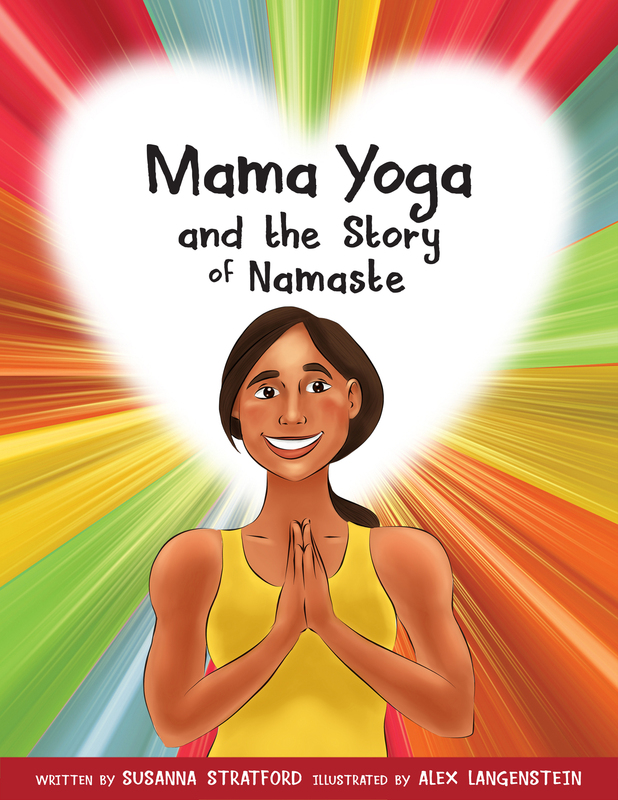 Mama Yoga and the Story of Namaste is both a fun picture book and a resource guide for parents, teachers and kids. Kids and grown-ups can join Mama Yoga for a Playful Family Yoga Class! Intended for children ages 5-9 and one adult per child you have a blast wriggling your bodies into yoga poses. No yoga experience necessary, but loads of fun and bonding guaranteed! The story weaves through the physical moves of yoga to improve your body – but also delves into paying attention to your inner feelings. Mama Yoga and The Story of Namaste explores both the inner and outer beauty of ourselves and others – a lesson for adults and kids. Susanna Stratford got her start by telling her yoga stories to her yogi friends at the schools where she teaches yoga. She soon realized that kids love stories with a lot of action, but also with a lot of heart. Her years of teaching gave her the insights that arise in her fun and poignant picture book. The result is a fun book to experience with your kids. Well Done. Next Hot Yoga: Are You Ready to Sweat?